Network operators are constantly faced with the challenge of optimizing the existing infrastructure of their network to meet the needs of their customers by offering more bandwidth. This scenario is true for every type of network, from FTTx networks to long-haul and transoceanic networks. Depending on bandwidth requirements and the amount of subscribers sharing the network costs, coarse wavelength division multiplexing (CWDM) has proven to be cost-effective for the ever-increasing mobile backhaul bandwidth and FTTx enterprise. While CWDM technology has been known and used in metro and core networks for quite some years now, only today is it reaching the full extent of its possibilities and being integrated into the access networks. Different variations of CWDM networks are available, either for enterprise or cell tower feeding. The most basic configuration is based on a single-fiber pair: one fiber is used to transmit and the other to receive. This configuration often delivers eight wavelengths, from 1471 nm to 1611 nm, with 20 nm apart. However, networks are now deploying in the O-band as well, doubling the capacity to 16 wavelengths (1271 nm to 1451 nm, excluding the 1371 nm and 1391 nm water peak wavelengths). Using CWDM as a means of increasing bandwidth also brings network characterization and deployment challenges. During the construction and installation phases, physical-layer tests must be conducted on the fiber from the head-end to the destination, either an end-customer or a cell tower, and vice-versa. Single-ended testing, e.g., with an OTDR, is definitively an advantage as it optimizes labor resources. 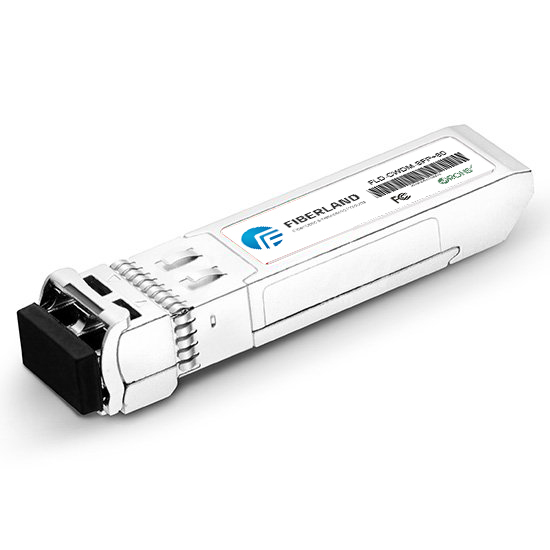 In such a case, the objectives are to characterize the entire link (not only the fiber) to include the add-drop multiplexers (OADM) and to guarantee continuity up to the final destination. Often times, testing at standard OTDR wavelengths, such as 1310 nm and 1550 nm, cannot be done in such conditions as these wavelengths are filtered out at either OADM, never reaching the end destination. The question then becomes: How can such a link be tested and fully characterized? The answer: With a specialized CWDM OTDR. Thanks to its CWDM-tuned wavelengths, the CWDM OTDR can perform an end-to-end test by dropping each test wavelength at the correspondent point on the network (customer/cell tower/ elsewhere). This allows the characterization of each part of the network directly from the head-end, saving tremendous time and avoiding difficult access to some sites. Housed in a single platform, multiple OTDRs covering a different range of the CWDM wavelength grid will speed up the deployment process as the technician will test all drop fibers from a single location. In the figure above, the CWDM OTDR trace (in black) illustrates a test at 1470 nm, where four add-drops on the main fiber are shown as the OTDR signal went through, (1470 nm, 1490 nm, 1550 nm and 1570 nm). The gray traces represent other tests performed at a different wavelength such as 1550 nm and 1490 nm, showing a different location on the main link of these add/drops. Each trace represents the link from the head-end to the final customer premises. As described above, a CWDM architecture is quite basic as it only has passive components, e.g., multiplexers and demultiplexers, and doesn’t have any active elements such as amplifiers. In networks where active elements are present, they are the main source of optical noise, which greatly complicates reception. So upon activation, the only things that can prevent proper transmission in a CWDM system, assuming the fiber characterization described above is properly done, are transmitter failure, sudden change in the loss created in an OADM or manual errors such as bad connections (e.g., connection to the wrong port or splicing to the wrong filter port). All these things are beyond the physical check-up that an OTDR can perform. The only way to avoid them, or track and repair them, is to look at the signal being transmitted. A power meter cannot be used as more than one channel can be present and the device will measure all of them. In case of a wrong port connection, power will be present but the standard power meter will not be able to identify the wavelength or validate the expected wavelength. A full-blown optical spectrum analyzer (OSA) measures the wavelength and the optical signal-to-noise ratio (OSNR) with high accuracy. These two test parameters are paramount when testing a hybrid CWDM and DWDM network. On the other hand, when testing a CWDM network, these test parameters are not required since filters are very large and tolerant, and that there are no active components to create noise in the network. The ideal solution to avoid these issues without getting an overkill piece of gear such as an OSA is a CWDM channel analyzer. This unit will very quickly determine the presence (or absence) of each of the 16 wavelengths and their power levels. An initial system turn-up test should be done just after the multiplexer, where all wavelengths should be present to check the transmitters’ output power to make sure they are all within specification. Many CWDM OADM, yet not all of them, have tap ports, meaning that there is a port where a small portion of the signal is dropped. Taps are typically 20 dB weaker than the main signal, but are ideal for channel analysis without signal disruption. If these taps are not present, a CWDM analysis should be performed; it consists of unplugging the end user to use the main feed for the analysis. To be ready for all possibilities, a CWDM channel analyzer should cover a power range going as low as –40 dBm, while being able to test the entire wavelength range in the shortest time as possible. Other important features are the size, ruggedness and price. Of course, if the future of the network includes a mix of narrowcast and broadcast (CWDM and DWDM), a CWDM channel analyzer will not meet this challenge and the best solution will be a full-blown OSA. 1- Is the link properly set up? 2- Is my wavelength present and well? There are two approaches to find out if a link is set up properly: a CWDM OTDR approach as described earlier, or an out-of-band approach. The CWDM OTDR approach is relatively simple when a new customer is added. Before turning on the customer service, the OTDR is used from the head-end to the termination as described previously. Again, this accelerates the process since testing can be performed without having to wait for the customer or to go to the cell tower sites. Then, the wavelength can be turned on at the head-end. Once active, the channel analyzer is needed at the customer’s premise or cell tower site to validate that the wavelength is present and that the power level received is within budget. The OTDR and channel analyzer combo is also useful when a single customer is experiencing issues. The channel analyzer will reveal if the channel is indeed present and within power budget. If not, the CWDM OTDR can be used to test at that specific wavelength or an out-of-band 1650 nm OTDR test can be performed from the customer’s site to detect any anomalies on the link—all without disconnecting the head-end since the OADM will filter out the 1650 nm, therefore not affecting the remainder of the network. CWDM testing challenges can be completely overcome during construction, installation, activation, upgrades, maintenance and troubleshooting using specialized equipment such as a CWDM OTDR, a CWDM channel analyzer and optionally an out-of band OTDR. Using such tools will reinforce the confidence in the conformity of the network, both in the infrastructure and the system, as a result drastically reducing the probability of failure and eliminating the need to bring another work crew. The CWDM OTDR, CWDM channel analyzer and the out-of band OTDR represent valuable tools that will reduce downtime, respecting the ultimate goal, which is to increase bandwidth at a minimum cost.